What are the challenges do you see in higher education in Oman and what steps have been taken to overcome them? In Oman, we are trying to introduce technology as a tool to help the education sector and raise the level of school education and higher education, which will help develop the country. The higher education institutions in Oman are being developed by the government as well as the private sector. One of the major challenges in education is a gap between the structure of higher education and the need for the job market. This applies not only in Oman but it is a global issue. In order to overcome the issue, we encourage higher education institutions to partner with the industries, as this is the only way to understand the gaps and solutions. We also invite the industry players to give suggestions on skill development. This helps the industries to understand the structure of higher education and set of skills required and vice versa. Higher education institutions cannot provide all skills needed by the industry but they provide the generic skills through their major programmes. Industries have norms to help the graduates develop their specific skills. How would the industry-academia partnership help the youth to get the right placement? The Ministry of Higher Education requests the institutions to conduct study for the job market and check what kind of skills are required. The higher education institutions need to have mechanism such as having partnership with the industries so that they can improve their programmes to fit to the needs of market. We have established a specific department to conduct surveys and study this area i.e. the higher education sector, graduates and need for the job market. We share the information with the higher education institutions so that they can redesign their programmes and provide necessary support. Several other things have been done to encourage higher education institutions in Oman. It includes the launch of entrepreneurship course where the institutions develop skills of candidates needed to serve their own business. This will help increase the economic growth of the country. We have also decided that higher education institutions in Oman should have skill development courses linked with the sponsored bodies. 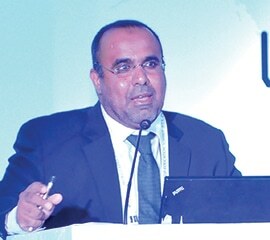 How fruitful is the India-Oman collaboration in education? The relationship between India and Oman has been very good for quite a long time now. We are neighbours. We have a joint scientific committee, which works very hard. We have some higher education institutions linked to India. They have their own partners in India. We run some electronic courses as well affiliated to Indian universities. There is a room for improvement in collaboration between each other. Oman has been witnessing all-round development but India can train citizens of Oman in vocational and entrepreneurial skills through a strategic partnership in higher education. How World Education Summit platform will help the Ministry of Higher Education, Oman? There is a lot of scope to find partners, develop network with the leading players in education sector and join projects with them through World Education Summit. The platform offers an opportunity to know each other. India has rich experience in all industries and academia. Some of the institutes in Oman, exchange their programmes with educational institutions in India and WES-like programmes will help strengthen the relationship between the two countries as well as their higher education sector.